Home » Whispering Wolf » Earth » Can You Dig It? Ever feel like you could literally just get blown away from even the slightest breeze? Or maybe you just feel off balance, it's hard to concentrate, things just seem disconnected? Well, you probably need to ground yourself. Now I'm not talking about electrical wires, but I guess in a way I am, sort of. There is an abundance of energy in the earth, an actual scientific fact. Think of how you feel on a summers day where you've just spent hours barefoot in the grass. Feel pretty awesome I bet. Settled, calm and relaxed. Life just seems right. Well, your feet actually acted like wires and pulled up that awesome energy current from the earth and recharged your 1st Chakra which keeps our inner energy circuits open and flowing through us. It's March here in the midwest, still a bit chilly for running around barefoot, even for me. One alternative is to literally go hug a tree. Yup, wrap your arms around it, get a personal giggle from knowing curious neighbors are wondering what you're up to, and hug away. The larger the tree, the deeper the roots, the more awsome you'll feel. You can also carry tumbled stones. Some of the best ones to help get grounded are Hematite, Black Tourmaline or Bloodstone. You can fiddle with them all day in your pocket and enjoy the benefit they provide. 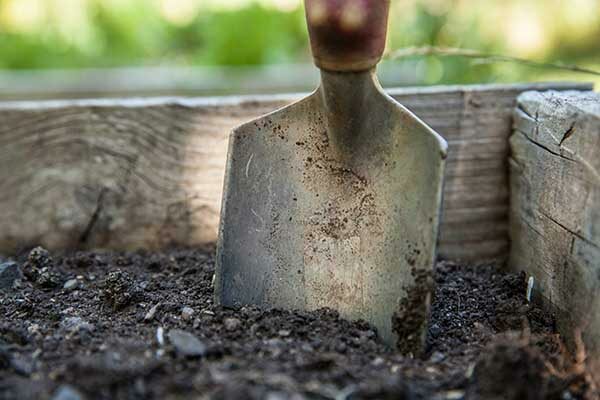 If the above options aren't available, work with clay, repot some plants, set up little pots for an indoor herbal garden, or start your garden seeds. There is a magical quality to even just touching soil that brings us back to earth feeling safe, secure and grounded. So, just dig it!